(Newser) – New Jersey Gov. Chris Christie signed a law today forbidding state laws or rules to use the term “mentally retarded” to refer to those with intellectual disabilities. 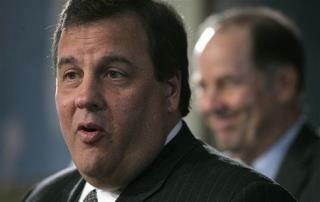 “This is making sure each citizen in our state is treated with the respect they deserve,” Christie said. “It’s their government too.” The legislation was championed by the Arc of New Jersey, an advocacy group that hopes to someday remove the word from casual use as well, the Star-Ledger reports. “We’d like New Jersey to get to a place where you can’t use the ‘R’ word without it being inflammatory,” said one Arc executive. The bill also bans the use of terms like physically handicapped, feeble-minded, and physically defective ... all of which currently appear in state laws and regulations. Retard is not meant to be inflammatory ..it was used for many years without all this touchy hoopla over it...The Department of Mental Retardation was used years before it changed its name to The Department of Developmental Disabilities...a person with mental retardation and/or a developmental disability should not be under scrutiny because of the term retardation nor should anyone using this term ..the word is found in Websters Dictionary...should we void it from there as well ? ...mental retardation is a legitimate psychiatric diagnosis included in the current DSM, recognized and used by MD's and psychologists nationwide. That's not changing any time soon, so I don't know what gov. Christie thinks he is accomplishing. This is efin ridiculous. I am so glad I moved out of NJ a number of years ago. Don't the elected officials of NJ have more important things to do?